South Africa is the only country in Africa that can offer a malaria-free safari experience in certain areas. In the Eastern Cape of South Africa there is no risk of bringing your children on holiday. Game Reserves in this area have incredible wildlife viewing and safari experiences, so there will be no compromise for a malaria-free safari. Africa is amazing! The rangers will open your children’s eyes to the sights and sounds of Africa. They are brilliant with children and will show them how incredible nature is, whilst looking at animal dung, interesting bugs and awesome animals. Your children will be in awe of their guides as they track animals out of the dust on the ground. The guides will look for wildlife to inspire, engage and teach the youngsters all about the natural wonders of the bush. 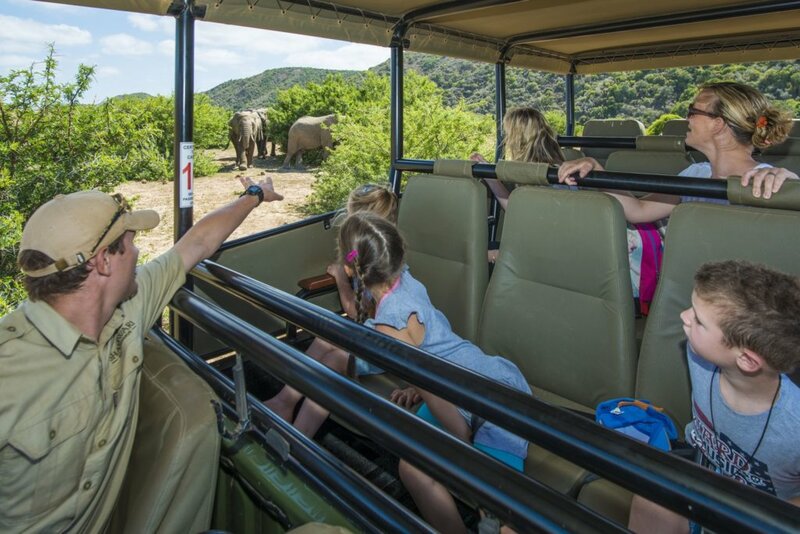 Children over the age of four are permitted to go on game drive, while those under the age of four are not permitted to go on game drive. They nonetheless will have plenty of fun with a bunch of activities to do at the lodge. 3. 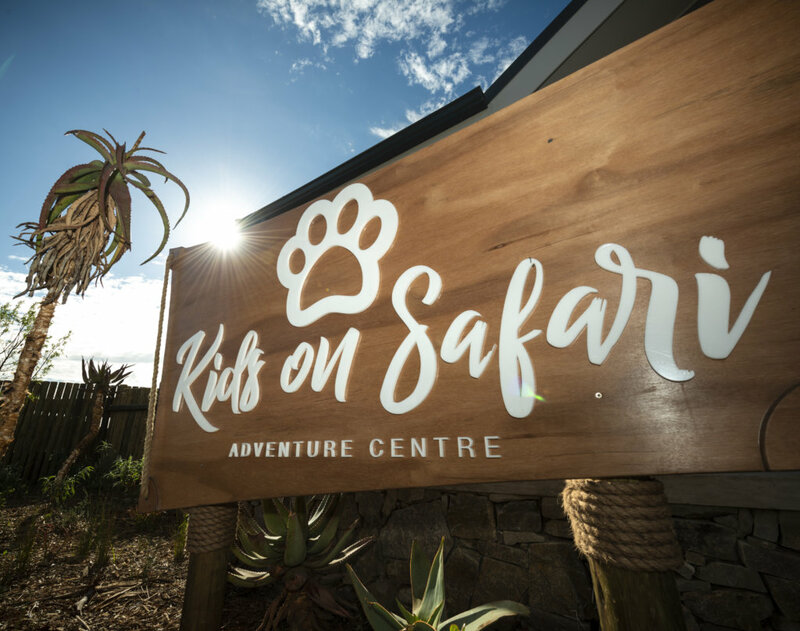 Our Kids Adventure Centre is unlike any other, perfect for children of all ages! 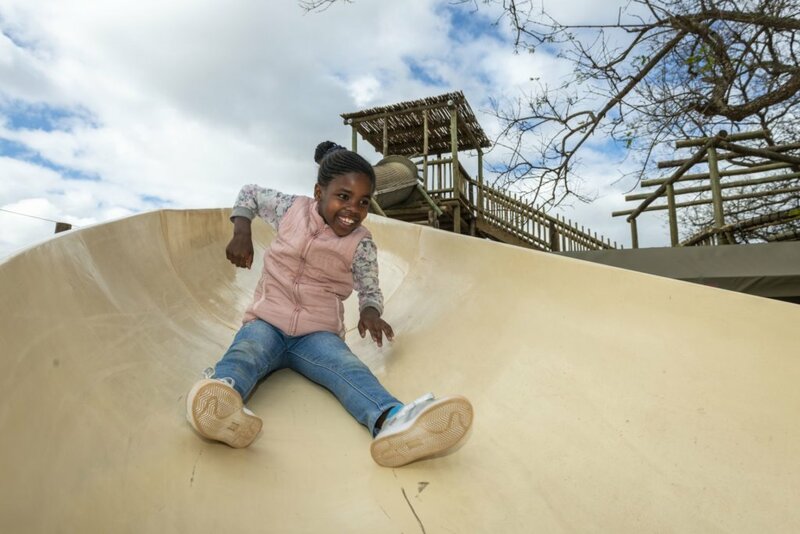 At Riverdene Family Lodge, the Kids Adventure Centre is a spectacular play area for children. With children’s coordinators always on watch, your children are in safe hands whilst having a ton of fun. There is an array of activities for the very little ones all the way up to teenagers who will undoubtedly love capturing photos of wildlife on safari. 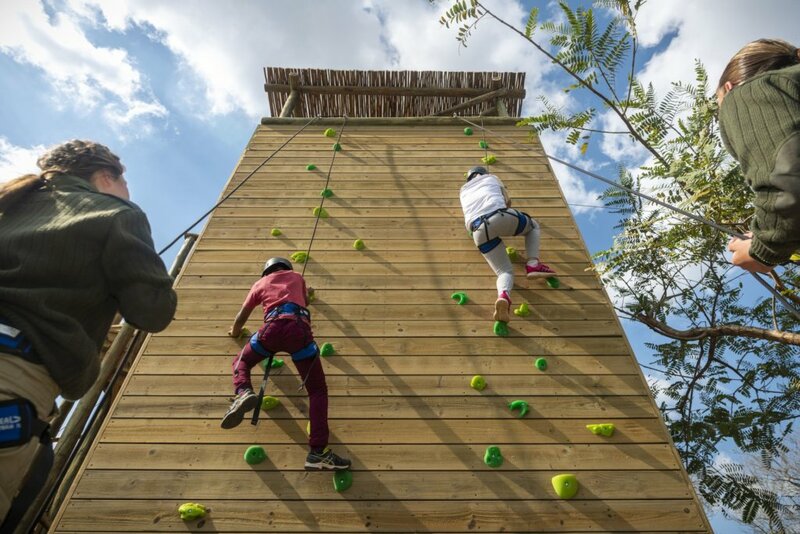 For children that want to have freedom to run around, our Kids Adventure Centre has zip lines, climbing walls and tall towers for them to adventure around. Children grow up watching African wildlife on television and seeing them in books. Few get to see them in the wild. Watch the wonder that happens when children are on their first safari and get to spot animals. They get to marvel at these incredible life-size creatures. You get to watch your child’s face light up when seeing a giraffe animal for the first time. The unforgettable family memories created are well worth the early morning wake up calls. With South Africa being home to 11 official languages, there are numerous cultures that your family will interact with when travelling here. It will be an enlightening experience for your children when they meet people from the rainbow nation. At Shamwari, your children will be treated like royalty by all staff members. At our barbeque evenings, you will get a feel of traditional South African cultures and get the opportunity to experience traditional South African dishes. It is an incredible feeling when you get to pass your love for wildlife onto your children. By bringing them on safari, you are enlightening them to something they could never quite grasp by only seeing it in a book. Here they’ll get to experience the sights and sounds of a true safari experience and develop their own thoughts towards wildlife and conservation. Regardless of the saddening fact that they could be the last generation to witness a crash of rhinos grazing or a herd of elephants as they peacefully go about their business. 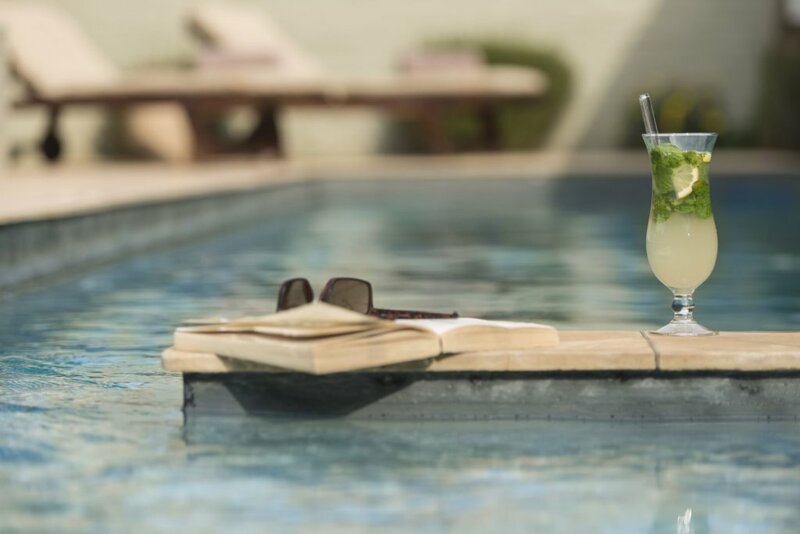 Your children will always be looked after at the lodge, should you want to laze around the pool or treat yourself to a relaxing spa experience. 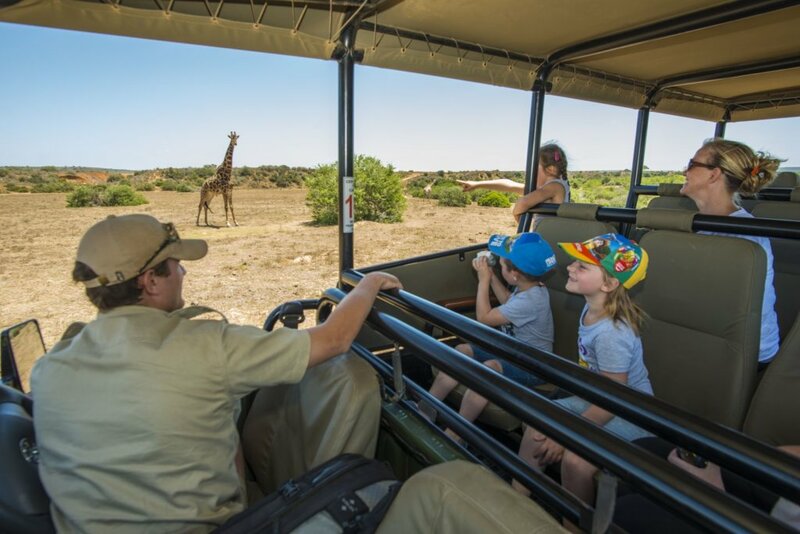 However, if you’d like to adventure on a romantic game drive without your children, childminders can also be pre-arranged at an additional cost to look after your little ones. This is available for your convenience. In South Africa there are many game reserves that cater for families. However at Shamwari we have two child-friendly lodges, Riverdene Family Lodge and Sarili Lodge. 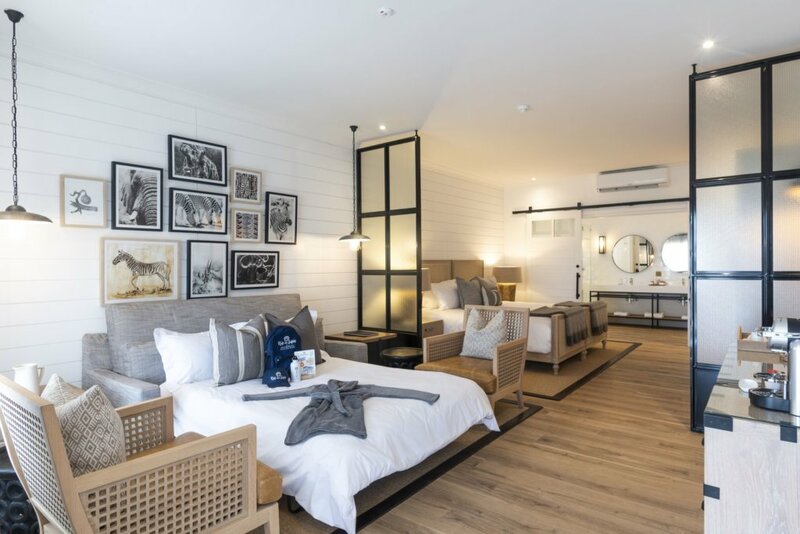 Riverdene Family Lodge was recently renovated and re-designed to create a family paradise with an Adventure Centre and indoor play area for children. The lodge has inter-leading rooms to make it easily accessible for families travelling with children. Children can dine with their parents, or if the parents choose to have a romantic dinner for two instead, that can also be arranged. 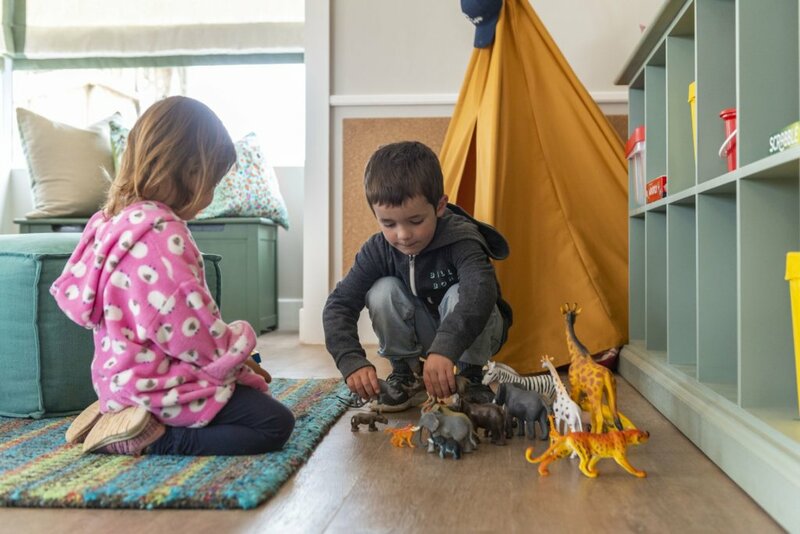 The beauty of a child-friendly lodge is flexibility to ensure happy guests. Many guests refer to Shamwari as the highlight of their trip to South Africa. So go ahead book your family safari today with us, you won’t be disappointed! Having just come back from a 3 night stay in Riverdene I can only second this – our kids (8 and 11) loved the Safari experience as well as the vast kids’ playground and magnificient pool in the lodge. We had played around with the idea of a Safari before but didn’t want to have to worry about the side effects of the Malaria medication – so Shamwari was the perfect answer! Thank you for your comment, Sebastian! It is greatly appreciated. We’re delighted to hear that you had a wonderful safari at Riverdene Family Lodge and we certainly hope to see you return in future. Shamwari Private Game Reserve is home to 25 000 hectares of pristine wilderness where an abundance of wildlife roam. We not only offer our guests 5-star luxury accommodation, we pride ourselves on presenting wildlife interaction,..